Shepway Core Strategy - update! Last month, we blogged about the "call for sites", the deadline for which was Monday 3rd February 2014. 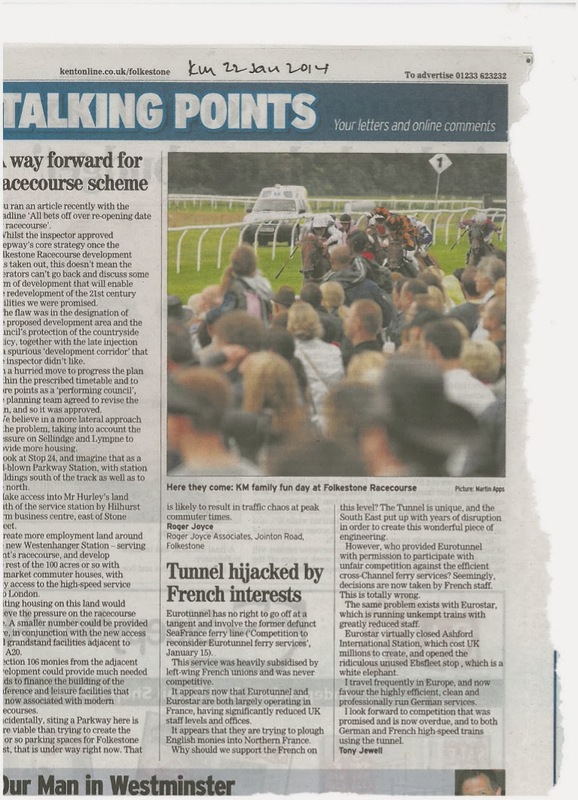 We have submitted eleven sites to the Council including a re-visit of Folkestone racecourse (which we blogged about last year). This matter was reported in the Kent Messenger on 22.01.2014. 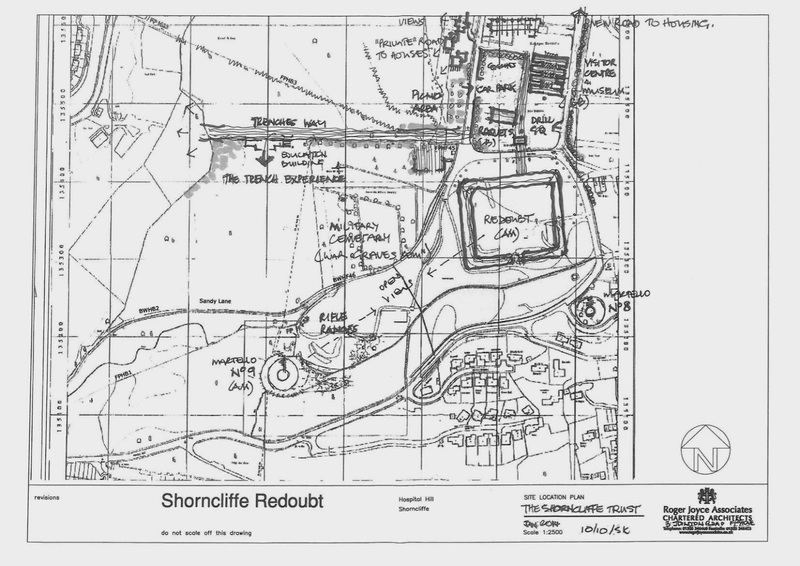 We also included a potential site for a Visitor Centre at Shorncliffe. This links in well to the work being undertaken by the HEART forum. Logo below designed by Phil Rutt of Arc Creative Design. We are working on a website that should be launched very shortly. 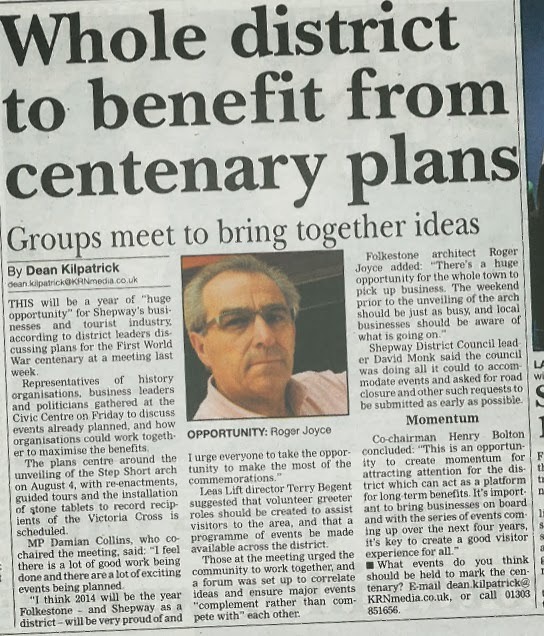 Just recently, we arranged a meeting chaired by Damian Collins in the Civic Centre that was attended by the Leader, David Monk, and about 30 others involved in the HEritage & ARts Tourism sectors in Shepway. Back to the "call for sites", we submitted no less than 11 ideas including several from the SHLAA which is under review. My question is, how many people knew that The Council were asking us to contribute to the Local Plan and how many people took an active part? I trust that The Council will involve the public in the process of working up the next phase of the Local Plan.